Red white and Blue arranged by you. Come and join Creative Kids, a free under 5’s art workshop. We will be creating magical fairy wings to fly into the enchanted garden. We will visit The enchanted Garden temporary exhibition, play in a fairy garden, eat some fairy tale snacks and fly about with our fairy wings. Create a wintery scene to hang in your home. Shimmer and sparkle for festive joy! Beatrix potter early drawings an d books on display in the ‘Enchanted Garden’ exhibition. Make a bunny mask at the Stow Film Lounge. The Walthamstow Garden Party is back! A fun festival in Lloyds park with some amazing things to see and do over the weekend Saturday 14th July and Sunday 15th July. Come and visit us in the Useful and Beautiful tent on the front lawn nearby The William Morris Gallery. Hosted by The Black Horse Workshop, We will be making tails. A free workshop for all ages, no skill required. You can make a unicorn, or, a dragon tail of course other beasts are available! Here are the other wonderful makers and artists joining us in the tent:. Come and make a clay tile at this under 5's session for families. 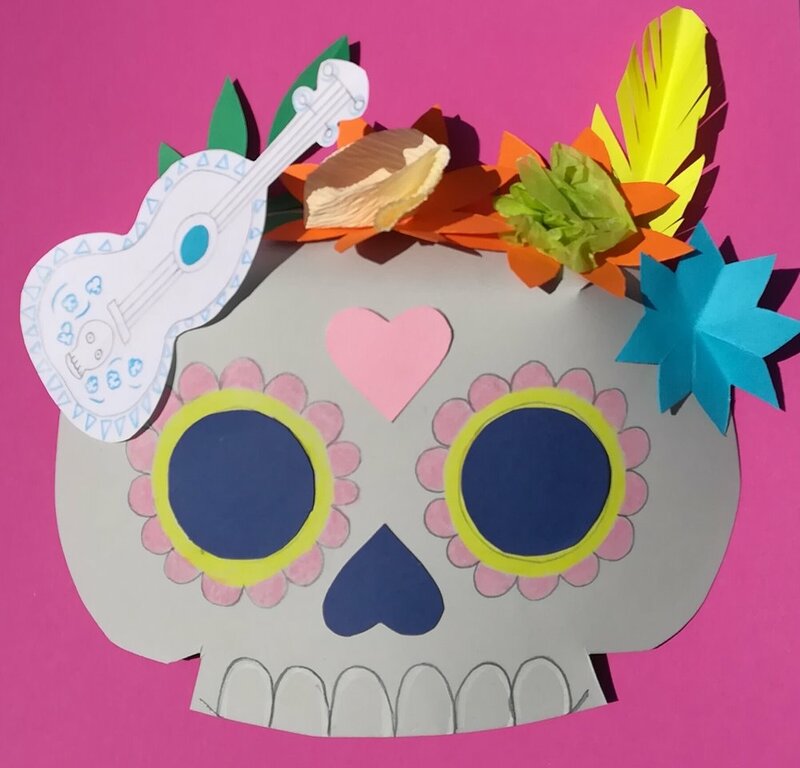 Sugar skull art to be made at the Kids film lounge. A free activity with every ticket bought. Fellow scribbler Vanessa creating her magic. Its going to be a right Royal knees up! Come and make a gift for a royal wedding, a tea blend of your own and create a design for a tea caddy. A tisane of flora and peppermint leaves, decorations with palatial designs and Brer rabbit, the star of an African American tale. A nod to the transatlantic romance of Prince Harry and Meghan Markle. Come and play in our castle, eat cucumber sandwiches and have a good old fashioned sing song. No celebration is complete without a friends and a cup of tea. We look forward to seeing you soon. Come and design your own captain underpants, pants. Learn about leaves used in William Morris' designs. and create a marvellous spring tree. Come and create something clever for a prescreening activity of The boss baby. Join us at The Barbican centrte and make sculptured seed bombs, Seedbombimals. 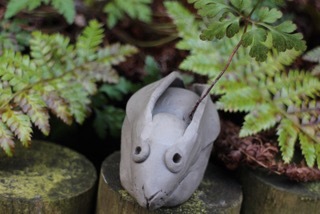 Create out of clay an animal from Epping forest and make them into a seed bomb. Drop your sculpture in a place that needs cheer, then let nature's rain and shine spread your flora. OPEN FEST has a full weekend programme for the very young and old. Get involved in playful and creative workshops that will get you exploring your senses and the natural world. You can also join in with making protest banners with artist Gayle Chong Kwan, Or you could enter A sensory play space with our fellow friends Walthamstow toy Library. A weekend of inspiring art and entertainment. We welcome you to a packed weekend of everything we do best, from art exhibitions, music and dance, to free tours, open rehearsals, showcases and workshops in and around the Barbican Centre. Don't miss a new large-scale light and sound installation Tunnel Visions: Array, a Culture Mile installation taking over the Beech Street tunnel. Mask making with scribble and smudge at Lake of stars. photo by Vanessa Brightwell. Come and make a giant tree at Creative Kids, under 5's session. We will be looking at a new exhibition by artist Gayle Chong Kwan, "The Peoples Forest". Come and make a glowing fire fly before the film is screened at 11.00 a.m. Guardian Of the Mune is cert pg. An original animation of a mythology. Set in a unique, magical world, our faun hero Mune must travel to the land of sleep and nightmares to help save the land from an evil guardian and rescue the sun and moon. A fantastic adventure with unusual characters and gorgeous animation. Come and sing along into your crafted microphone at the Kids Film Lounge this Saturday. Sing is a cert U, fun kiddy musical film about A koala impresario who stages a grand singing competition for the world's animals in order to save his elegant theatre. Doors open at 10.30 for the free craft session for those with a ticket. Even better if you know some of the songs. Hows about singing along to this one on Saturday? Creating with nature's colours, as William Morris used in his textiles and prints.